Of course we went anyway and of course my wife was right, it was an incredible experience, especially for the kids. 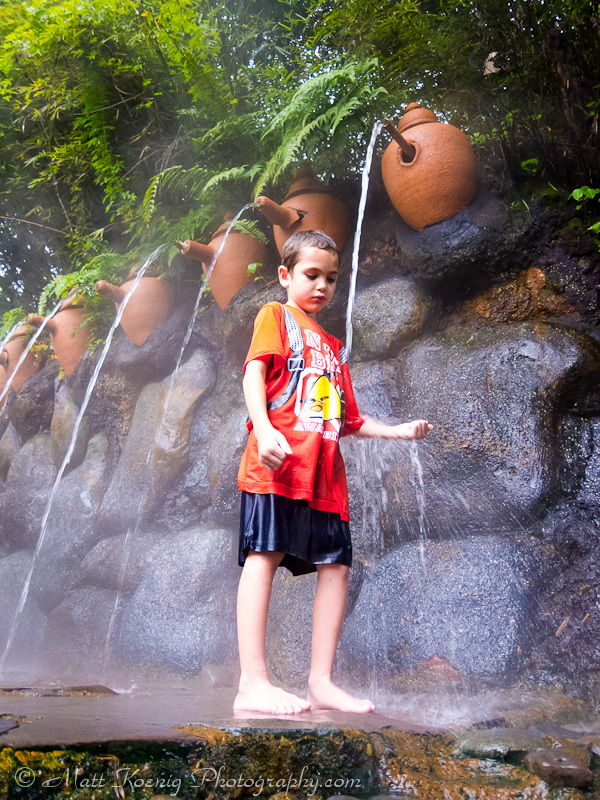 Waterfalls and streams of steaming hot water to play and soak in. Kopo Permai -> Jalan Tol Pasteur -> Jalan Sukajadi -> Jalan Doktor Setiabudi -> Jalan Raya Lembang -> Jalan Tangkuban Perahu -> Jalan Raya Ciater. The drive is very beautiful as you wind your way through the volcanic mountains surrounding Bandung and through the often foggy and misty tea plantations growing along the slopes of Tangkuban Perahu an active volcano. Along the way we stopped for lunch at Saung Balibu and enjoyed some great Sundanese food with a view. 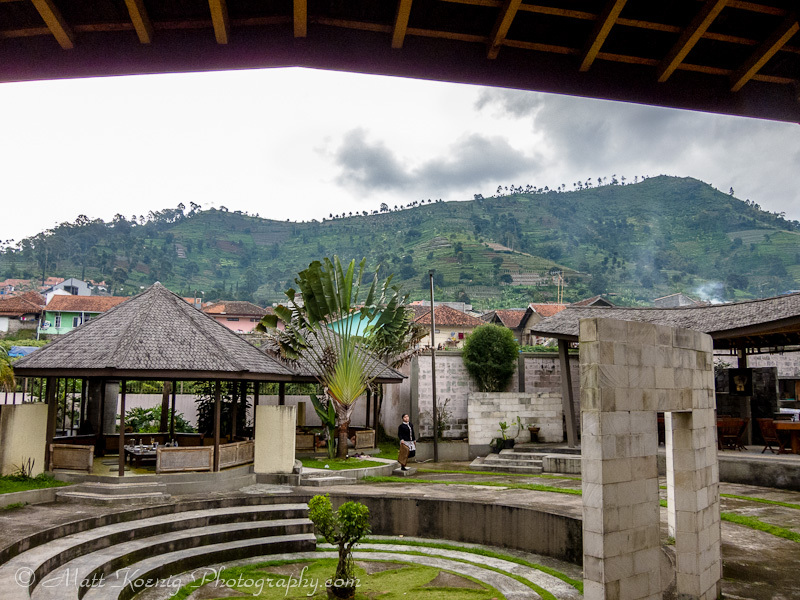 The view from our lunch stop on the way to Ciater Hot Spring. Upon arrival at Ciater Hot Spring we made a wrong turn and ended up driving through the parking area for large tourist buses. Unfortunately we got to see a problem that plagues many areas of Indonesia: garbage. It was like everyone who got a boxed lunch on the tourist bus had simply thrown it indiscriminately on the ground. There was trash everywhere and it stunk really badly. So after our trash tour we finally navigated to the correct parking area, paid our entrance fee (RP15.000/person) and then purchased tickets to the hot springs at Sari Ater which is a large resort. Joseph enjoying a good soak. Now there are many free areas inside once you pay your entrance fee but if you want to swim in the pool or have a private soaking pool you have to pay extra for that. We opted for all the free pools which since we were visiting on a week day were not crowded at all. Our first stop was a small soaking pool that had an inner ring with spring water bubbling up from a small pipe. There were a few people sitting around it as we arrived and they advised us that it was indeed very hot. The secret they said was to get your feet and legs in quickly and to not move. The more you move the hotter it feels. We were told the temperature was about 46C (114F). It certainly felt like that was the case. 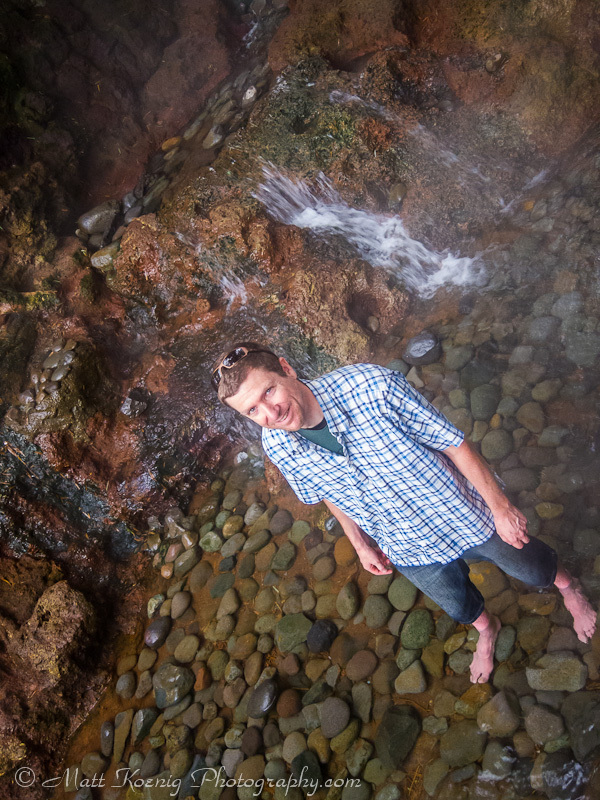 When first putting my feet in the hot water it felt way too hot but once settled and stationary it was really very enjoyable. The water is volcanic in nature and full of sulfur and other minerals like calcium and magnesium that are said to be a cure for many diseases. 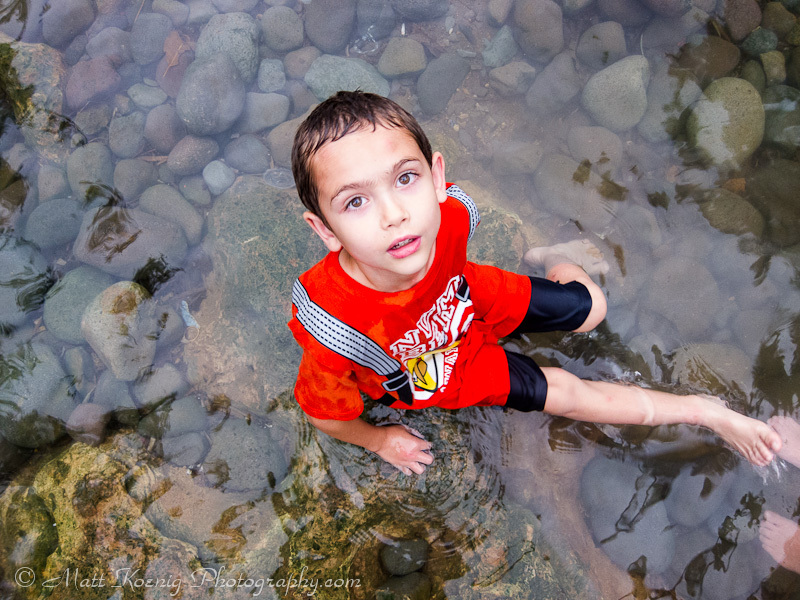 We washed the water on our kid’s legs as they had been eaten by mosquito bites and possibly bed bugs. I will say that a day later their sores and discolorations around the bites completely disappeared. My youngest loved posing with the animal statues. I soaked my legs in the ultra-hot water for a good 20 minutes or so and upon getting out my legs showed a noticeable line where the water had been. My legs and feet below this line were a bright red. A man came up to me as I was ogling my legs and wondering when the red would disappear and said the redness was a good sign of healthy circulation. 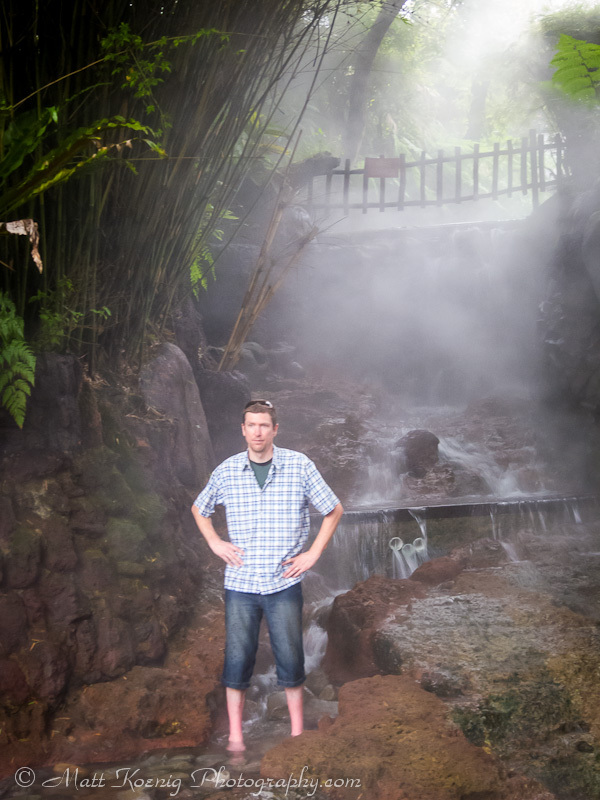 After our initial adventure at the first pool we walked down a path and discovered a river of steaming hot water. I had never seen anything like it before. It was incredible! The boys quickly jumped in a hot pool and swam around for a bit before climbing on some rocks as water cascaded down around them. The boys scaling a hot wet rock face. My youngest found a spot where there was water in spigots coming out of a rock wall and he could stand there and let the hot water run all over him. Meanwhile I started walking up the river climbing over small waterfalls and as I climbed higher and higher the water got hotter and hotter. Finally I could go no further as the water was just getting way too hot. We continued to wander along the paths and found more pools below some larger falls. It’s such a sight to see large waterfalls of steaming hot water cascading everywhere. 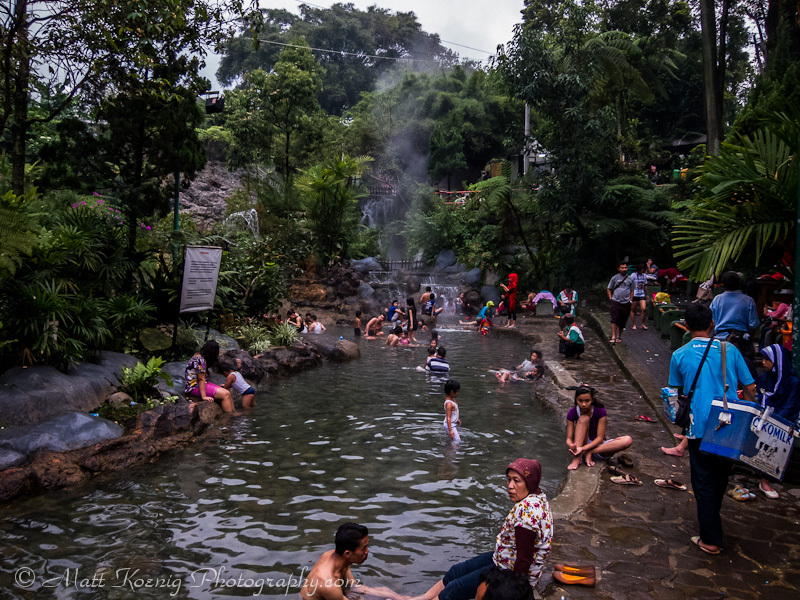 Ciater is an area that is quite a bit cooler than Bandung and thus the hot springs actually felt really good. It’s so relaxing to just soak and let that hot water permeate your entire body. More soaking. 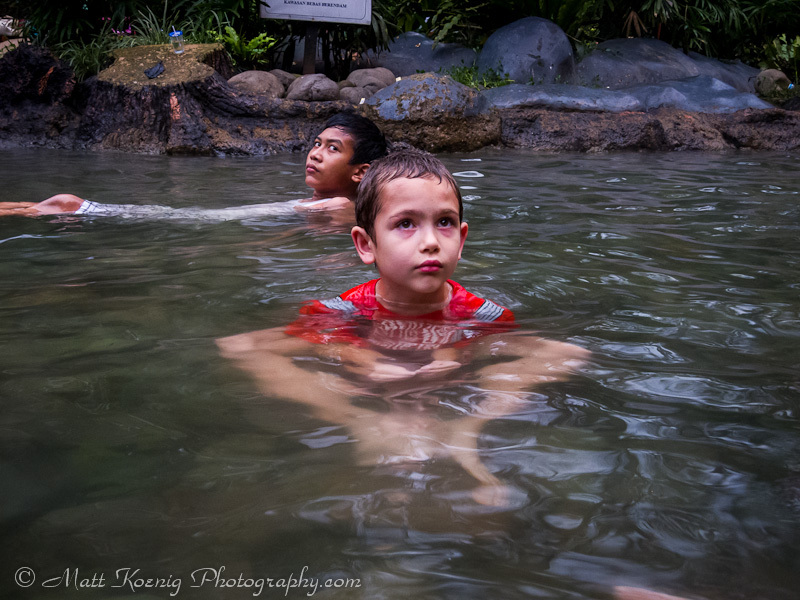 The kids loved it here at Ciater Hot Spring. If I had a flowing river of hot water flowing through my backyard I would certainly be soaking in it every single day. 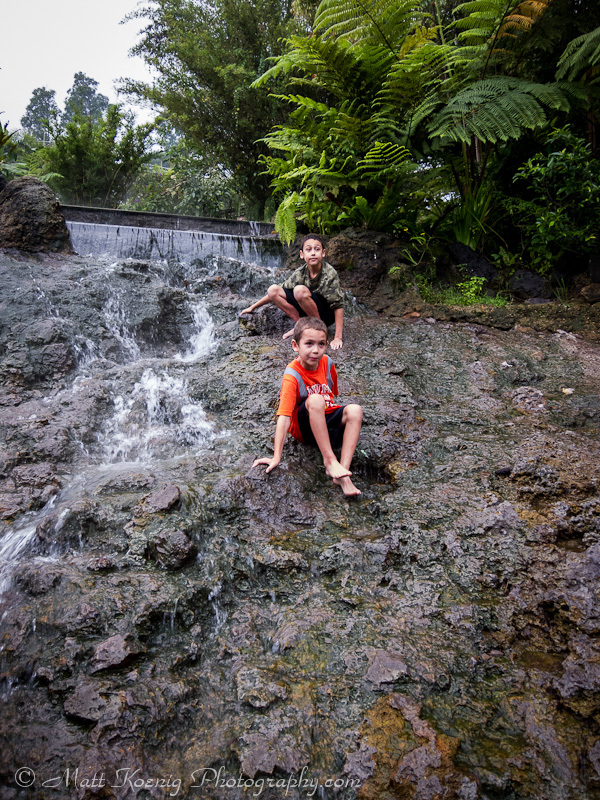 Ciater Hot Spring was a hit in our book. 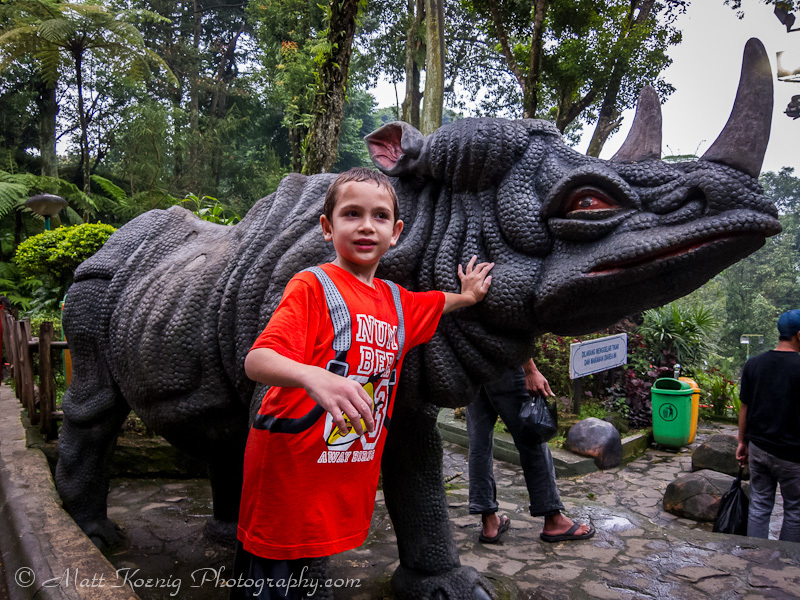 We loved that it was a relatively short drive from Bandung and best of all it was a place the kids didn’t complain about. 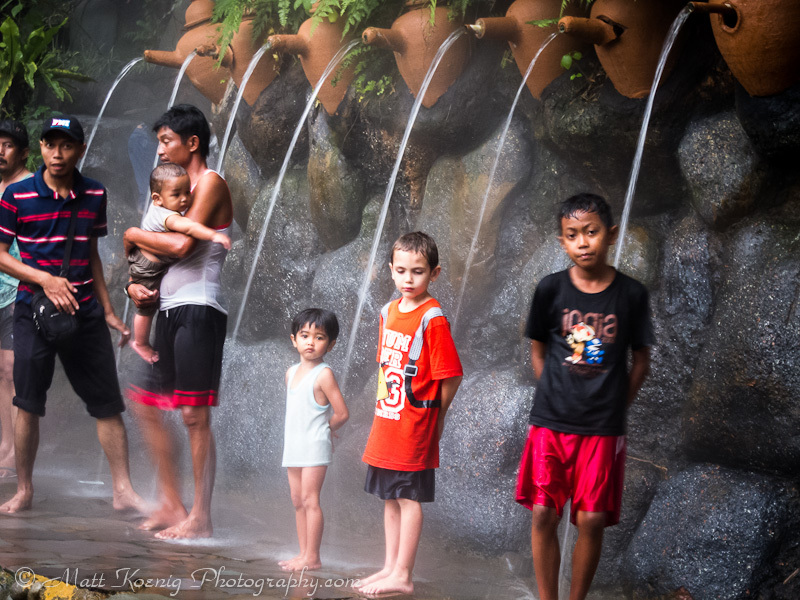 You can enjoy a few more photos over at our Flickr site in the Ciater Hot Spring gallery. The drive there is very beautiful going through the mountains and all the tea plantations. A few years ago we went to Tangkuban perahu. Beautiful part of the world for sure. So, going to hot spring is worth it. I love the photos, it shows you like soaking in hot water. I like the view, the warm and relaxing atmosphere. I’d like to soak in hot water too. Thanks for this post. Yeah, the hot springs were well worth the trip. It’s kind of surreal to see streams and waterfalls of hot water.